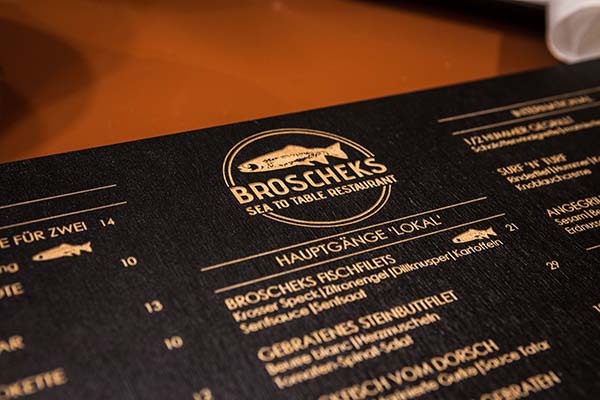 Let’s get this out of the way first: Hamburg‘s Broscheks Sea to Table isn’t the most stylish looking dining room. 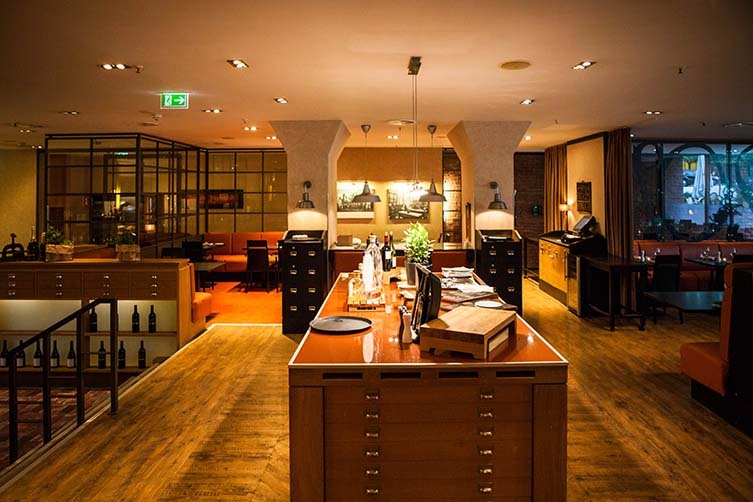 Occupying a space on the ground floor of the Renaissance Hamburg Hotel, this is a formal, businesslike affair. But that’s before you get to the food. 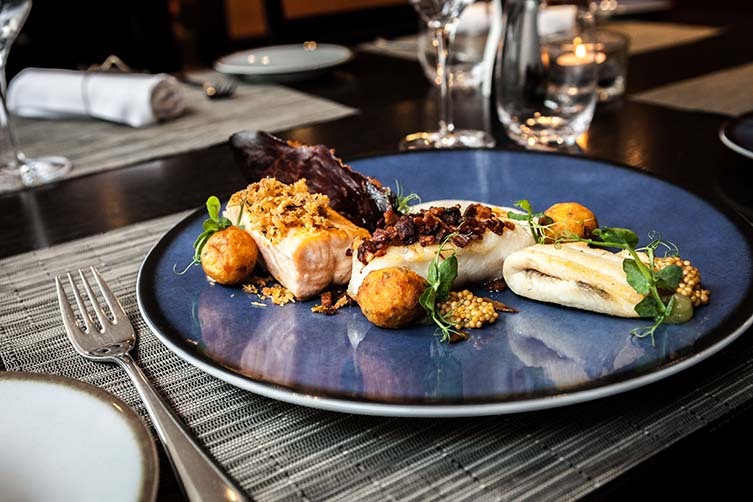 Focussing on fresh catch delivered daily from the North and Baltic Sea, the Atlantic Ocean, and the closer-to-home Müritz river, Broscheks Sea to Table is a restaurant where sustainability and working with local suppliers are as important as the fish and seafood that makes its way from the water to your plate with minimal fuss. 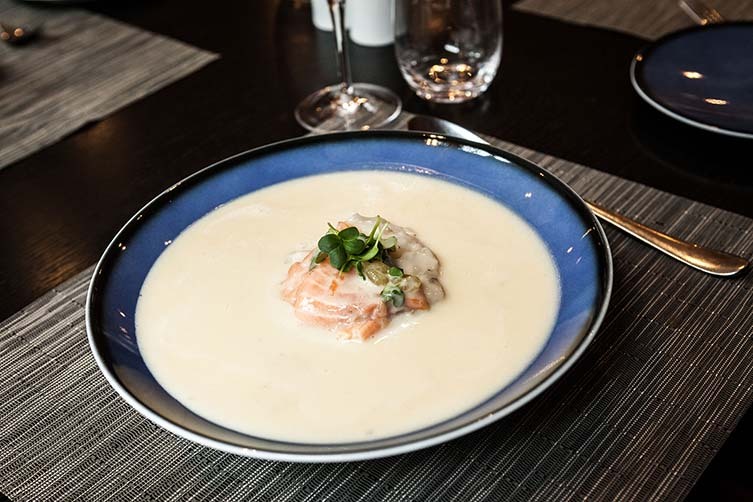 The menu at Broscheks Sea to Table celebrates its sustainable process and produce; fresh fish delivered daily from the North and Baltic Sea. 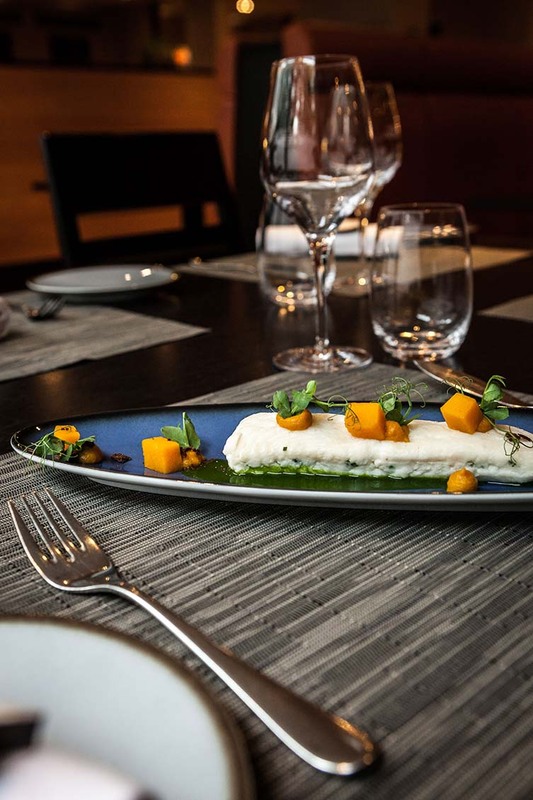 “I prefer using regional products for the advantages: short delivery channels therefore fresher and more flavoursome ingredients, and less CO2 emissions for transportation and support of the surrounding economy,” explains head chef Steffen Arndt, who has created a menu where simplicity is key; preferring the process and the produce to be the stars of the show, accompanied by a delicate selection of international wines, and beers from Hamburg-based brewery Ratsherrn. 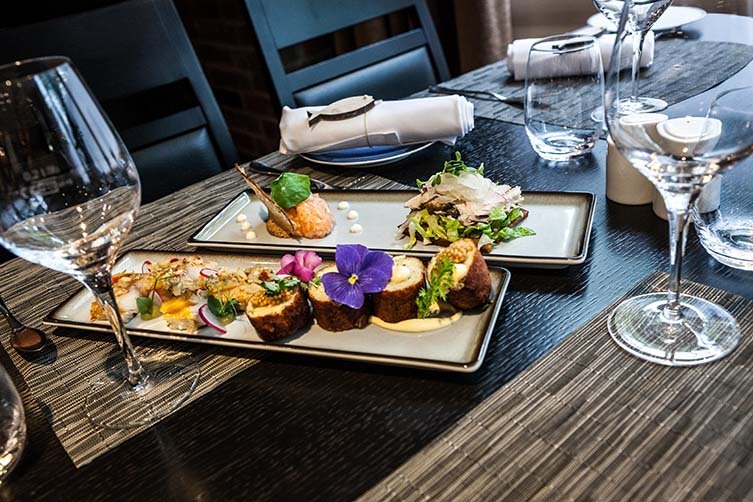 The restaurant is comfortable with a selection of tables and booths, guests made up of work colleagues, small groups of friends and families, and couples cosied-up together. 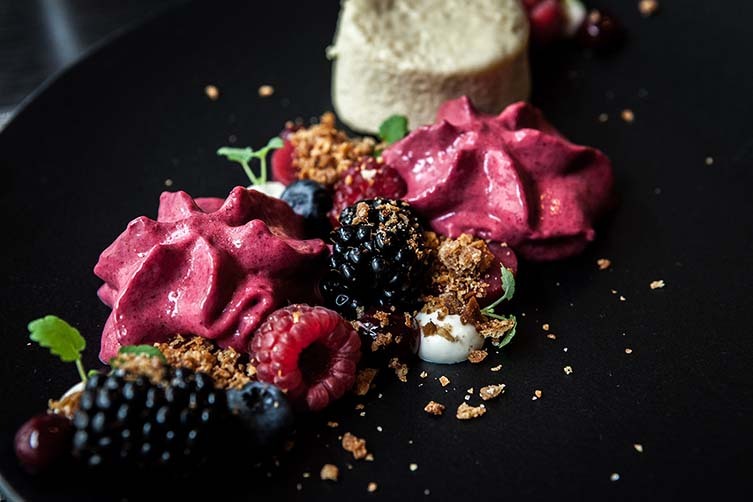 Located next to the hotel’s cocktail bar, Bricks, impeccable service makes for the type of atmosphere where you’re happy to spend a few hours, and Euros, working your way through the tantalising menu before passing back through the bar for a cocktail for the road. Lovers of meat and vegetables aren’t excluded at Broscheks—the latter satisfied by fresh produce grown on the hotel’s rooftop—though starters such as the ‘trilogy’ of North German fish sandwiches (pan-fried herring, smoked mackerel, and pickled salmon heaped onto toast) and Label Rouge salmon tartare served with roasted bread, cucumber, and radish, followed by dishes like fried battered cod and tartare sauce; sautéed turbot with beurre blanc, cockles, and tomato; or the half grilled lobster with colourful marinated vegetables and a shallot vinaigrette, are the stars of the show here. Lip-smacking treats that pack all the straight-from-the-sea punch typical of northern Europe—made all the more divine by an abundance of sides: potatoes cooked all-ways, rosemary fries, the sweet and tangy cucumber salad, and the freshest of broccoli. 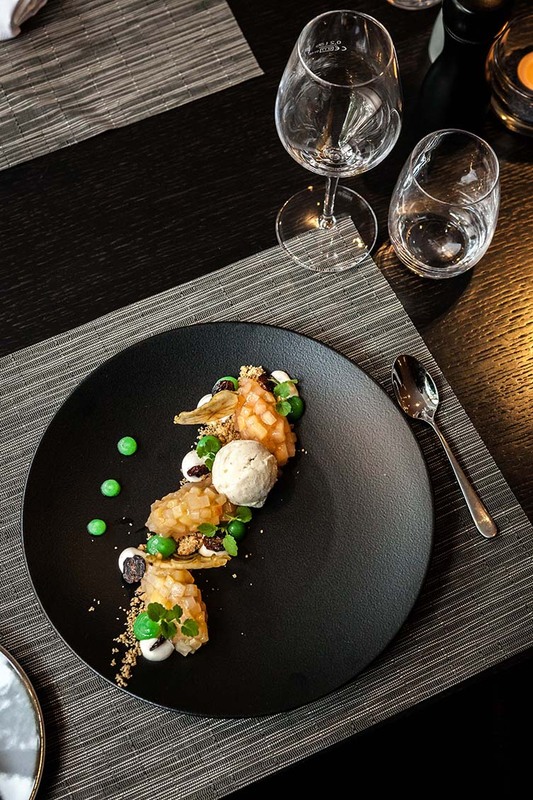 Broscheks’ lack of cutting-edge style shouldn’t come as a surprise, here’s a restaurant taking a step back to what’s truly important. From sea to table, little else should matter. Fresh and packed with flavour, there’s only one thing here that demands your attention.